Now Managing Director of Eindhoven365, Peter Kentie is, for Estonia, something much more than just one of its e-residents. He is the face behind “Just Estonishing”, the nation branding strategy which over the past couple of years has changed Estonia’s brand image for the better. Initially released in 2016 as a pro bono and open source proposal, Just Estonishing, is, with its EST concept, a text-based tool with endless opportunities. Something to think, use, create and design Estonia from many different angles. No better way to hear the whole story than asking Mr Kentie, Estonia’s number one fan, to highlight what this whole initiative is about. Peter, how did the “Just Estonishing” idea come about? My fondness for Estonia is now almost 4 years old; before it was just a place to me. I needed someone to help me open my eyes and heart to Estonia, and to help me understand the country and its mentality. Estonia’s unique place in the world as a leader in digital society puzzled me. I created the so-called EST-concept to express my affection and interest in the country; to stimulate discussion about Estonia and how it could market itself to the world. I spent more than a year researching and developing the concept, consulting fellow designers and marketers from both the Netherlands and Estonia. Then the ‘Just Estonishing’ idea came alive. It is essentially based on a wordplay with the letters E S T – which are part of the word Estonia (and Estland in Dutch, Estonie in French, etc) – and are also used as formal abbreviation in passports, number plates, etc. Interestingly, this approach also gives lots of opportunities for promoting Estonian achievements and peculiarities by using a variety of words, such as smartest, coolest, wisest, but also guest and weirdest – all containing the same letters. 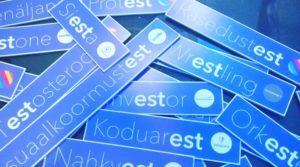 This makes it possible to cover every part of Estonian branding, from government to business and tourism, from social media campaigns to merchandising. I presented my ideas to Enterprise Estonia, the state organization responsible for managing and communicating Estonia’s country brand. At first, the board reacted enthusiastically, but then decided to go its own way with a brand toolkit. In my opinion, a toolkit is not enough. You have to proactively communicate the stories and achievements of a place based on a strong and cohesive brand promotion and marketing campaign. This is why I decided to focus on the activation part of the project, while Enterprise Estonia dealt with the rest. I really had to gain their trust before seeing it become part of the official nation branding. Finally, the chosen strategy was shared on Memokraat.ee, an influential weblog read and well-regarded by Estonian opinion leaders, IT-sector and aspiring young professionals. 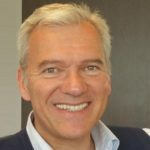 The interview was conducted by Kristjan Lepik from Teleport.org, and together we wrote the basic text for the publication in English on justestonishing.com. The concept was now online for everybody to see and use. An uncommon way of doing things – you may think – but the effect of the online publication was incredible. The national Estonian newspaper Postimees republished the article the same morning, asking its readers for their opinions. The outcome was startling. After a few days, the poll on Postimees.ee’s website had over ten thousand votes – basically 1% of the population had given their opinion. 95% answered YES to the question “Do you think the idea of the Dutchman should be introduced?” and the media attention exploded. Within weeks, nation branding was the biggest news topic in all Estonian media: radio, TV, print and online. Did local stakeholders get on board with the concept right away? What did you do to facilitate their engagement? The EST-concept gained outspoken reactions from many Estonian businesses, big and small…from the corporate world and banking to infrastructure partners like Tallinn Airport and Nordica. Even the famous former Skype community became a loyal fan on social media, and thanks to the active support of Estonian advertising, media and television, even an endorsement from Samsung Estonia arrived. The concept had equally strong support from the political sphere, with many politicians publicly expressing their enthusiasm towards it. The likeability factor of -est has been a great asset. Not just because of the ‘for free’ part, but – generally speaking – I think Estonians appreciate the ease and simplicity of the concept more than anything else. Anyone can relate to it and everyone can adopt it because of the effectiveness of the idea. It just fits with the Estonian mentality. It creates pride and self-esteem. What are the main challenges of maintaining such an initiative alive? The key thinking behind the concept was to build an open-source and co-created place branding. What I created for Estonia is actually based on the work that I do in my daytime job for the city of Eindhoven. The city marketing there is based on creating curiosity for the place itself with no identity restrictions, no brand manual, no penalties, but just endless freedom and room for experiment. I truly believe that involving citizens, companies and institutions alike in building and creating a brand together, i.e. collectively marketing the place, is the way forward in place branding. And what works for a city can also be applied to a region and even a nation. Place branding should be inclusive and strive towards engaging a community and motivating people so they have to be involved in the process. After all, they are the brand. I once received pictures of a wedding which used the EST-idea to identify the family members relations. No better proof that the idea really does fit with the Estonian mentality. At the end of the day, a place brand can only work if it is adopted by the users. The identity is not only there to inspire other designers and advertising experts, but also to create a tool for businesses, municipalities and organizations, tourism industry and knowledge institutions alike. They are all part of the place brand and should be involved in the brand identity. What about ROI? What kind of impact has it had so far for you? Always a tricky question in the world of place branding. In this particular case, well: what is the ROI of a pro bono branding and marketing concept? it is a gift to a nation. Honestly, the personal reactions I received through social media meant the most to me. The response to the poll was also very satisfying for me. A 95% positive score… How many times does one achieve such a result in a lifetime? Winning the prestigious Estonian PR of the year award, the marketing achievement award 2016 and being runner-up at the annual Tourism award also makes me proud, and so does the Estonian t-shirt designer who sold over 2000 t-shirts with ‘est’. The real ROI though would be adequate funding for further development of the concept, which has – sadly – not yet happened. My idea was to activate the domain extension .est and monetize that domain name by selling urls like fast.est, cool.est, clean.est etc. 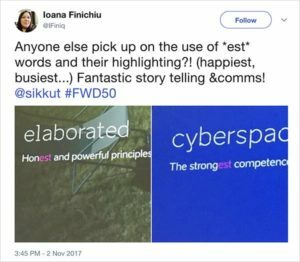 Estonia is the only institution that can claim .est within ICANN and once it does, this could really revolutionize its place branding campaigns and itself become a source of funding. Estonia recently held the Presidency of the EU Council. How was the nation branding strategy taken up during this time? Initially Enterprise Estonia worked on an integrated branding strategy for the country’s nation branding, intending to combine the EU Presidency in 2017 with the 100 year celebration in 2018. Due to timing though, this was not feasible for the Estonian Design Team and a design competition was held to create visual identities for both the EU Presidency and the 100 year celebration. While the chosen design for resulting campaigns was different from the nation branding toolkit we had developed, all official presentations about Estonia as a digital nation were developed in line with the EST-concept, presented on many stages during the EU Presidency year of Estonia. Every slide in the official PowerPoint presentation has an EST-related wordplay. How cool is that?! Connect with Peter Kentie on LinkedIn. 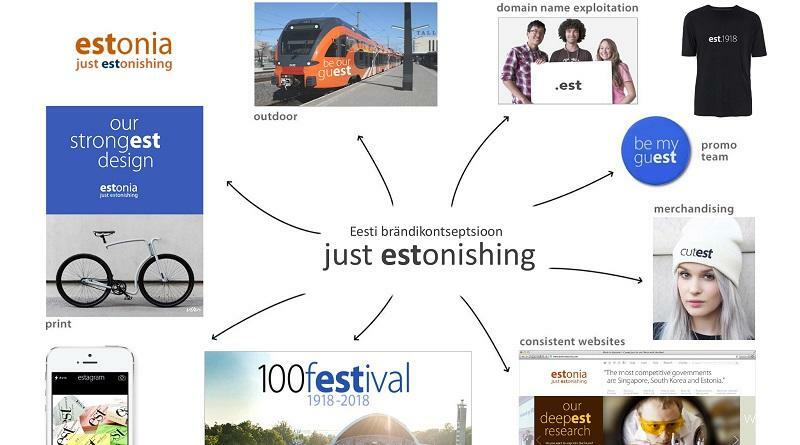 Enjoyed this post on Just ESTonishing, the inspiring example of a creative place branding concept which can be used by many different Estonia stakeholders in their marketing communications? Share and spread the word!